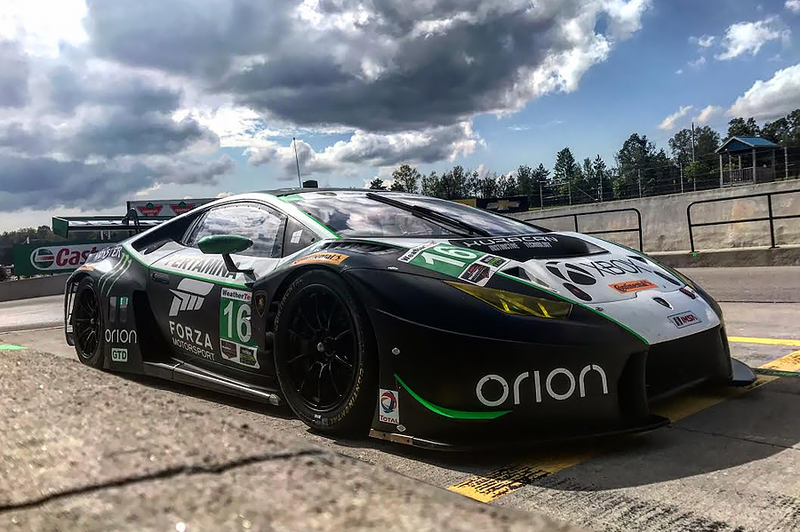 The Change Racing crew got their groove back at Canadian Tire Motorsport Park on Sunday with a sixth place finish as the team heads into the second half of the IMSA WeatherTech season with drivers Jeroen Mul and Monster Energy athlete Corey Lewis. After what seemed like a string of bad racing luck for Change Racing, the team continued to keep their heads high and worked hard to earn a result representative of their consistently strong pace with the Lamborghini Huracàn GT3. Before the CTMP event began, the Change Racing crew was hard at work repairing the No. 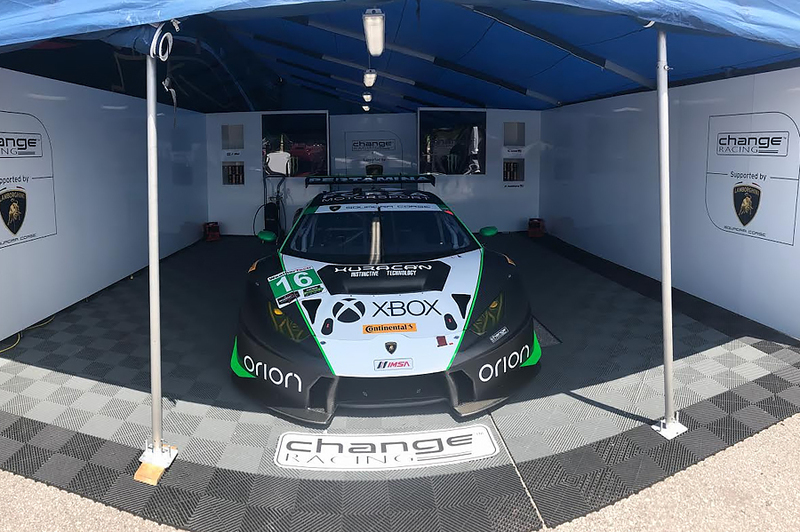 16 XBOX / Monster Energy / Orion Lighting Lamborghini Huracàn GT3 after contact sustained during the previous weekend at Watkins Glen. With the car completely repaired before the first practice day, the team worked to dial in the car for a strong weekend of racing. After Corey Lewis’ qualifying stint, putting the No. 16 in seventh, the team looked ahead to gain positions in the early stages of the race. After taking the green, Lewis maintained seventh until the first set of pit stop cycles on lap 34, where he moved up to sixth. Jeroen Mul took over the driving duties for the final stage of the race, where he kept the car comfortably in sixth. A mid-race rain shower produced partially wet weather conditions which didn’t seem to faze Mul who has experience racing in the rain in European competition. Mul brought the No. 16 machine up to fourth place where he battled in podium contention until yet another rain shower doused the track. Mul worked his Lamborghini Huracan to the fullest right until the checkered where he settled with a sixth-place finish. Team owner, Robby Benton, is relieved to have a successful result, but looks for improvements throughout the second half of the season. Change Racing will return to IMSA WeatherTech SportsCar Championship competition on July 21st – 22nd as they head to Lime Rock Park.